Supreme Court of India Today has directed the Zee News Editors Sudhir Chaudhary and Samir Ahluwalia to give the voice samples in the extortion Case registered by Police based on a Complaint by Jindal Steel Company. The Three Judge Bench comprising of Chief Justice Thakur, A.M.Khanwilkar and Dr DY Chandrachud has modified some conditions in the impugned order to ensure the fairness of the process. 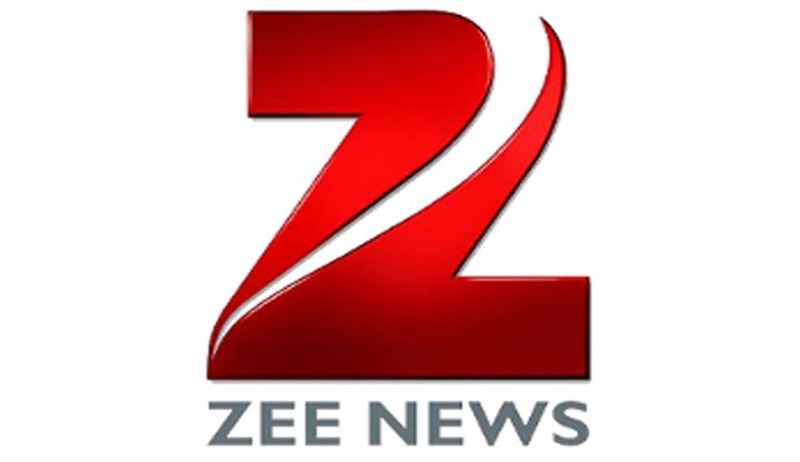 The Zee News Editors have approached the Supreme Court against the order dismissing an application filed by them for monitoring the investigation and for a direction to the Investigating officer to provide material for the purpose of a voice sample “which does not contain any inculpatory statement” in the presence of a judicial magistrate. Though they had challenged the Order of Additional Chief Metropolitan Magistrate before the Sessions Court and Delhi High Court, their challenge was rejected on the ground that while it was open to the accused to decide whether or not to grant their consent, once consent was granted the accused would have to abide by the instructions of the Investigating officer and cannot dictate the terms on which the voice sample has to be given. A Case, for offences under Sections 384, 511, 420 and 120B of the Penal code, was registered by Police, on a complaint made by Rajiv Bhadauria of Jindal Steel Company Private Limited. The allegation in the FIR was that the Zee Editors demanded a sum of money to refrain from telecasting programmes on a television channel pertaining to the alleged involvement of a corporate entity in a wrongful activity pertaining to the allocation of coal blocks. They were arrested on 27 November 2012. In December 2012, an application was moved by the Investigating officer before the Additional Chief Metropolitan Magistrate, requesting the court to seek the consent of the Appellants for obtaining their voice samples at the Central Forensic Science Laboratory, CBI (CFSL-CBI) for the purpose of comparing it with a recording which had been made in the course of a sting operation. The Accused furnished their consent for tendering their voice samples. They were required by the Investigating officer to furnish their voice samples on 21 December 2012. When they reported at the police station, the Investigating officer directed them to read out from a paper. According to the Appellants , they were being made to read out inculpatory material drawn from an audio recording of the alleged sting operation. They objected to do so and moved an application for monitoring the investigation and for a direction to the Investigating officer to provide material for the purpose of a voice sample “which does not contain any inculpatory statement” in the presence of a judicial magistrate. The Application was dismissed by Magistrate. A Criminal Revision was filed against the order of the ACMM. It is also dismissed. A Petition under S.482 was filed before Delhi High Court against the Order. The High Court dismissed the Petition holding that once the Appellants had furnished their consent to furnishing their voice samples, it was not open to them to dictate the course of investigation. The Three Judge Bench observed that since the Appellants expressly consented to a voice sample being drawn, the only issue before the Supreme Court is to ensure that the underlying process for drawing the voice samples is fair and reasonable, having due regard to the mandate of Article 21. “On the one hand, it is not open to the accused to dictate the course of investigation. Hence, we do not find substance in the submission that the text which is to be read by the Appellants in the course of drawing their voice samples should contain no part of the inculpatory words which are a part of the disputed conversation. A commonality of words is necessary to facilitate a spectrographic examination,” the bench observed. During the proceedings, the Supreme Court directed the Investigating to file a transcript of the disputed conversation in a sealed cover. The Director CFSL-CBI, was called upon to file in a sealed cover a proposed passage of a written text which the Appellants shall be required to read out for the purpose of giving their voice samples using words, but not the sentences, appearing in the disputed conversation in such number as the Director/Scientific Officer may consider necessary for the purpose of comparison. “We are of the view that the aforesaid directions which have been issued by this Court would allay the apprehension of the Appellants in regard to the fairness of the process involved in drawing the voice sample. Our directions ensure that the text which the Appellants would be called upon to read out for the purpose of drawing their voice samples will not have sentences from the inculpatory text. Similarly, permitting the text to contain words drawn from the disputed conversation would meet the legitimate concern of the investigating authorities for making a fair comparison. In pursuance of the directions issued by this Court the Investigating officer has filed in sealed cover: (i) transcripts of the disputed conversations; and (ii) a proposed passage of a written text required to be read out by the Appellants for the purpose of giving their voice samples. The passage contains words but not the sentences appearing in the disputed conversation. Having perused the contents of the sealed covers, we are satisfied that the Investigating officer has complied with our directions”.